We only drove by the fort of Galle since this was on the beach, and we wanted to spend most of our time… on the beach. We drove there from Era Beach Hotel. 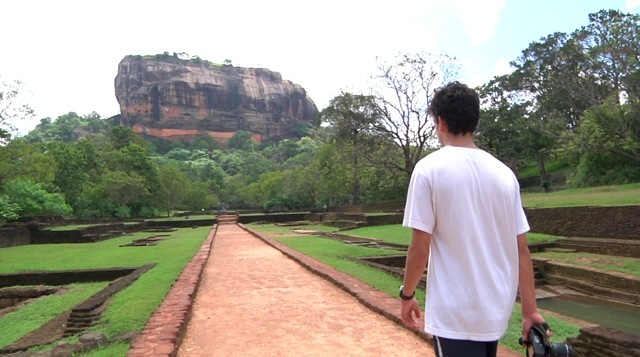 Located about 10 Km from busy Galle, Era sits on a beautiful, peaceful and secluded beach. Its was originally designed by Sri Lanka’s renowned architect Geoffrey Bawa and we loved the way it has the style of a colonial house. From Galle, we hired a driver with a van and drove to Colombo, staying there just for the night at the Cinnamon Grand Colombo. The next morning, we met a group of fellow travelers and took a tour bus to the Central Province of the country, where the sites below are located. 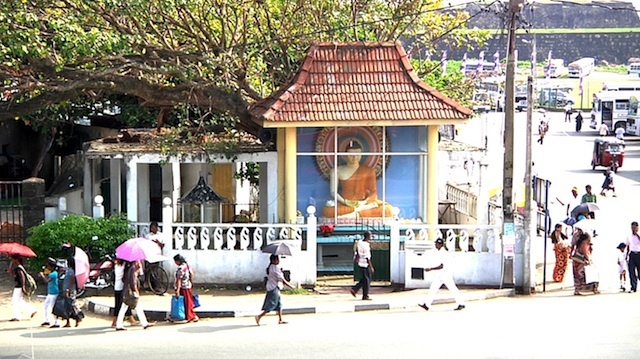 Located in modern Kandy, the Sacred City of Kandy is home to the island’s most revered Buddhist temple, the Temple of the Tooth. We stayed at the Queen’s Hotel which is directly across the street. If you are lucky to get a room with a view of the temple, you wake in the morning to the sounds of Buddhist chants, adding an unforgettable soundtrack to the experience. 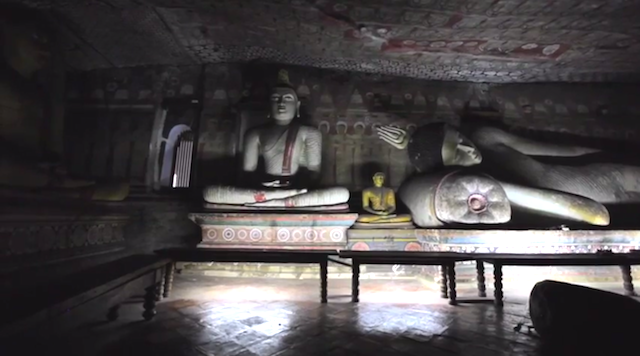 …also known as the Golden Temple of Dambulla. 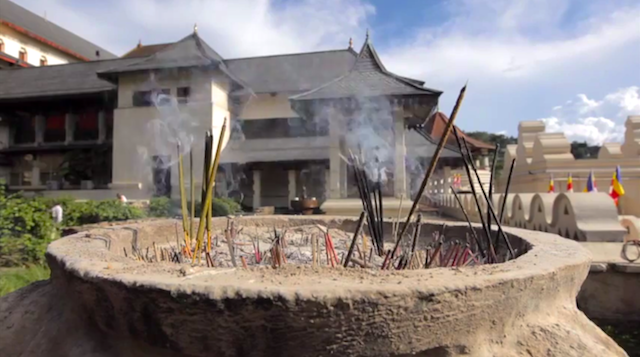 People approach you to buy flowers for the temple or souvenirs to take home. Here and in all the temples we visited, it’s suggested that you dress in light colors, and you are required to remove your shoes. We tried to follow these “rules” as much as we could, although sometimes we ran out of clean light color clothes. Next time, Booker will definitely bring extra white t-shirts on the trip. Booker’s visit there took him through ruins of an ancient city to an intense hike with breath-taking views. Guides will approach you to help you — a good way to learn about the place and to hang out with a local resident. Our tip on guides though is that you should work out a fee BEFORE going along on your walk, not when you come back. Here we stayed at the Cinnamon Lodge Habarana. A huge hotel with rooms and apartments spread out (it took us about 15 minutes to walk from our room to the lobby) and the most generous dinner and breakfast buffet Booker has ever seen. The place was lively in public areas and beautifully quiet in the privacy of our rooms. A side trip to something extraordinary:Pinnawala Elephant Orphanage. For 30 years the Pinnawala Elephant Orphanage has created a safe home for elephants separated from their parents due to injury or death. 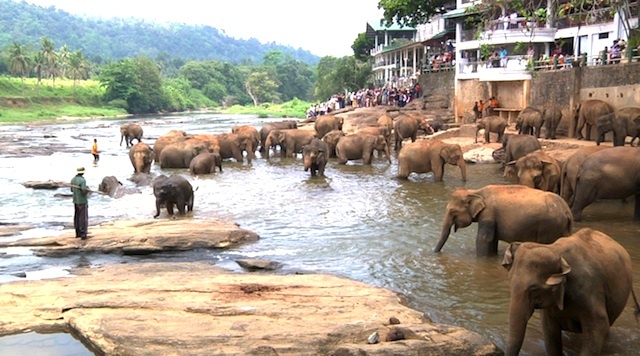 This is the largest herd of elephants in captivity in the world, making it a popular spot for tourists. We arrived during the feeding and bathing times and it looked like a scene from Jurassic Park, seeing these huge mammals with the backdrop of a river and palm trees.